[John Biggs] plays harpsichord, recorder and is a vocalist as well. He used to be a choir instructor at Los Angeles City College." "salli terri was my high school senior english lit teacher. the years were 1951-52 at the tokyo american school, japan. i remember her vividly, she is the only teacher i can remember. she also taught music and drama. 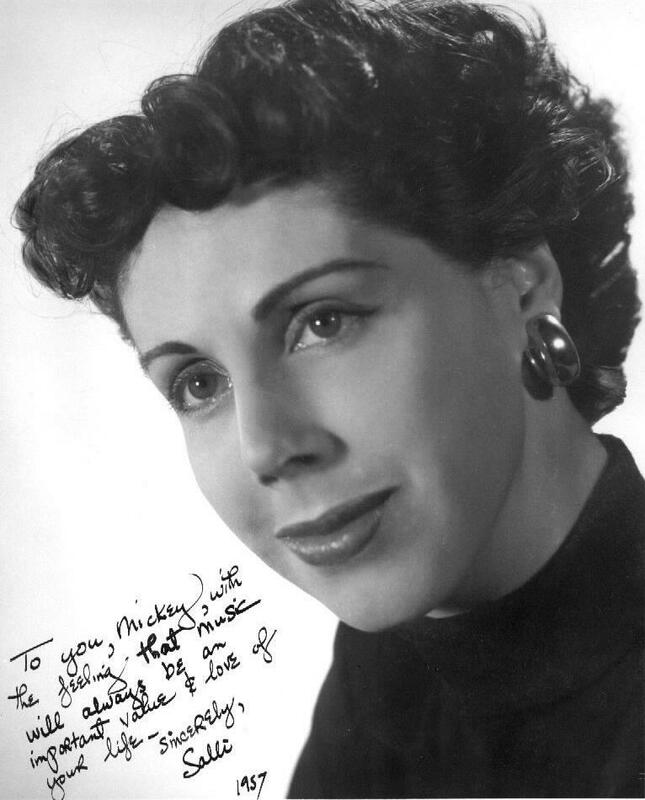 i have been trying to locate her for some time just to thank her for her inspiration ... her bio at that time said that she was from sherman oaks, ca ... all of her students loved her, especially the boys." 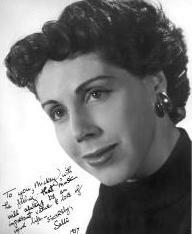 "Salli C Terri, BA - "Sherman Oaks, California; Wayne University, UCLA, University of Southern California; English IV, Music; National Thespian Society"
"One of the bios on the Program Notes for a performance in 1957 indicates that Salli joined the Chorale right after teaching in Japan, which would place it in 1952 or 1953... 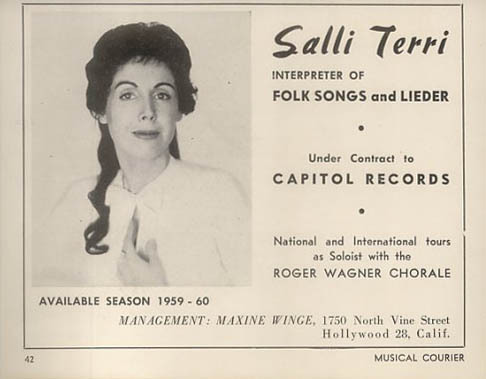 In these 1957 concerts, the program indicates that Salli was the soloist on "Were You There" which was arranged by 'Wagner-Terri'." "I used to sing in choral groups in the Los Angeles area and had the pleasure to do some singing with the Roger Wagner Chorale. As a result, I came to know Salli and enjoy her charm, wit and knowledge. I even took a solfeggio class from her to improve my sight reading skills and worked with her in some musical presentations at UCLA doing American based choral folk music settings as well as shaped note compositions. Of course, that kind of program fit with her extensive knowledge of American folk music. Her giving classes in sight reading is another example of her as an artist and a well rounded person who was willing to take time to share and extend her creativity to others. She never felt that teaching was beneath her, but I was flattered that she thought I was worth the time. It was a time of joy. I also sang in groups with John Biggs, her husband. My, those were the days of being a singing single. We miss her great graciousness." "I believe, as a singer, that our souls are reflected in our voices. I have heard some talented singers, with voices that surpass average in quality, that simply don't touch me, because they have not invested themselves in what they sing. Often, that is because they have developed little to invest. Salli's personality was unique. She experienced a childhood that gave her opportunity for personal growth. She knew what it was to experience emotional pain. She had a deep faith and love of God. She had a huge capacity for loving others. She had strong emotions and, most of the time, celebrated them. Her personality was richly developed, in many facets. Her intelligence, talent and sensitivity wove a rich tapestry. She invested all of that in everything that she sang... everything that she did. She was not a "half-way" sort of person. Musically, she saw beneath the notes to the soul of the composition, and of the composer. She took that insight and infused it with her own creativity, raising it to another level. Personally, she lived whatever part of her life applied to that song as she sang it. 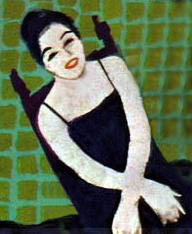 Vocally, she had the ability (at the time of the Villa Lobos recording) to produce what she felt. That is what you are blessed to experience when you listen to it. It "stops you in your tracks"; you are listening to her soul... and your soul resonates in harmony with hers. In her later years, she was unable, for many reasons, to replicate the extreme limits of her vocal range. That caused her much angst. For myself, I didn't mind, because of all the other things (some of which I mentioned above) that I experienced when I listened to her sing."